Week 36 was a catch-up week. I was already caught up so I spent time stitching the baptismal stoles. 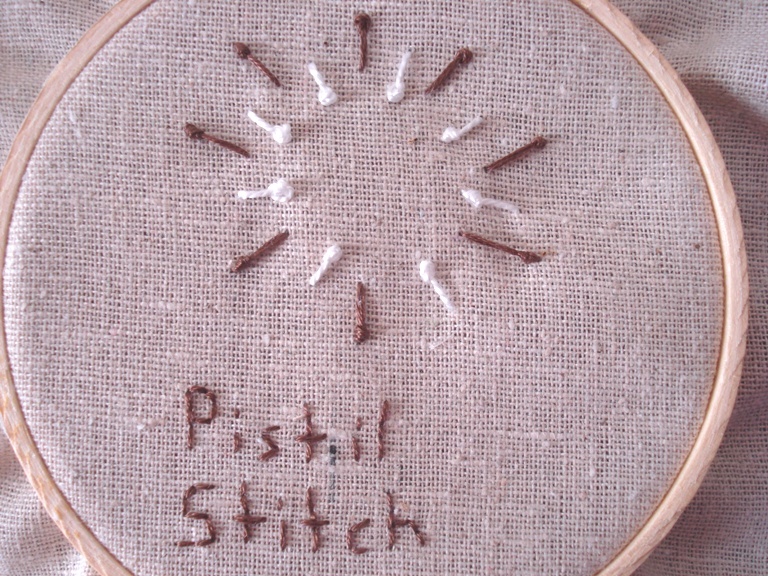 The stitch for week 37 of TAST was the Pistil stitch. I found this stitch to be easy and fun and expect to use it again. nice sampler. I love the colors you choiced.